Google Assistant is a voice-driven service that answers questions, allows you to control smart home devices, plays music, and performs dozens of other really cool functions. 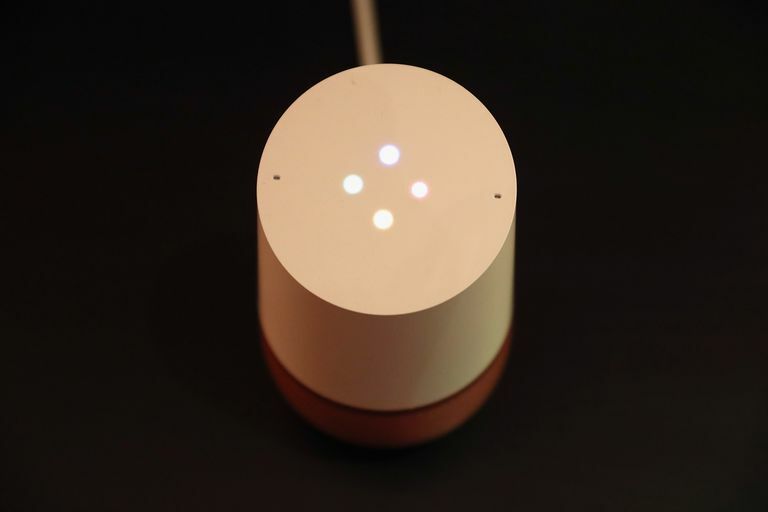 This virtual assistant is available on several devices, including the popular Google Home interactive speaker series (but you can also turn it off). In order to unlock the power of Google Assistant, you'll need to know which commands to use. We've listed our top 100 below, broken down into ten different categories. Whenever using a Google Assistant-enabled device, start by saying Hey Google followed by one of these commands. Several of these commands require individual accounts with their corresponding services, most of which are free. You'll be prompted by Google Assistant to set up said accounts when using one of these commands for the first time. Google Assistant lets you play some really enjoyable audio-centric games like musical chairs, trivia and even turn-based adventures where you can immerse yourself in an interactive world. Whether you're looking for medical advice, beauty tips, a virtual workout partner or just need help calming down at the end of a long day, these commands have got you covered. One of the main draws of Google Assistant is the added level of convenience that it provides, especially when it comes to filling an empty cupboard or buying a last-minute gift. These voice-enabled commands allow for a quick and easy hands-free shopping experience. Want to know who won the last race at Pimlico? Need some advice on who to start in your fantasy football league? No matter your sports-related question, Google Assistant can answer it. Your Google Home or other Assistant-enabled device is the perfect listening station for your favorite tunes and podcasts. The following commands provide access to a treasure trove of radio stations, songs and shows. Never sleep too late, miss an appointment or overcook a meal with these handy commands that can help organize even the most chaotic lifestyles. Google Assistant can keep your brain sharp with the following educational commands by letting you boost your vocabulary or even learn a new language, among many other useful factoids. What's the definition of [word or term]? Find out what's going on around the world or around the block with these helpful commands, which also provide detailed weather forecasts and financial market updates. Plan and book an entire trip, including transportation and lodging, with these travel-based commands. The following list is a hodgepodge of other Google Assistant commands that we like, and think you will too.